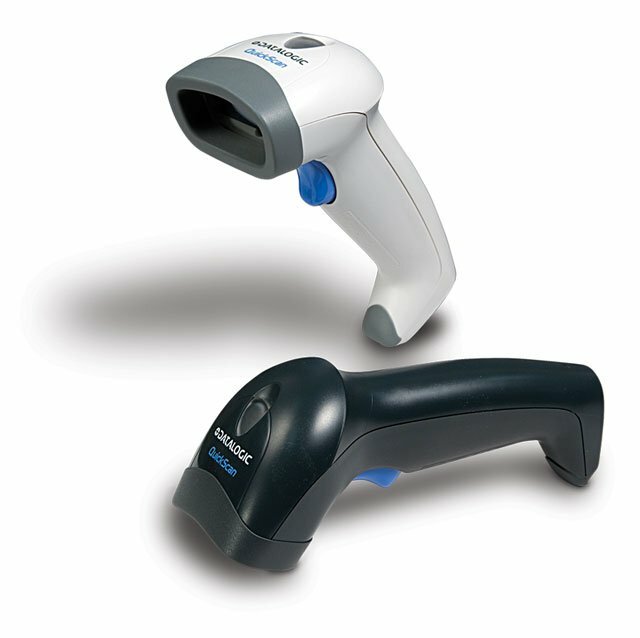 The Datalogic QuickScan L: QD2300 barcode reader is a barcode scanner with laser technology at an affordable price. The QuickScan L: QD2300 reader is the perfect solution for general purpose users who prefer laser scanning technology and need to read barcodes at nominal distances. This scanner is lightweight and small with an ergonomic form factor which provides the user with ease of scanning during daily operations. The wider than usual scan angle allows users to read a longer barcode from a shorter distance. The gun shaped ergonomic design fits most users' hands comfortably and the scanner only weighs 4.5 oz / 128 gr (without the cable). The Datalogic QD2330-WHK3S is also known as Data Logic	DTL-QD2330-WHK3S	or QD2330WHK3S	.